Today, almost 30,000 people live in Stittsville, a far cry from 25 years ago when only about 500 people called this growing community on the west side of Ottawa home. Like the community that it calls home, 9RUNRUN has done a lot of growing over the past seven years, and is now a favourite event on the national capital’s running calendar. The idea for a race in Stittsville first came about in 2009 when Shad Qadri, the Ottawa City Councillor for the area, was talking to Ottawa’s then police chief Vern White. That year, White was running a half-marathon every month to help raise money and awareness for charities supporting youth struggling with drug and alcohol abuse. Qadri thought it would be great if one of those races could be in Stittsville. But at the time, the community didn’t have a race of its own. So he called someone he knew could make it happen. “Shad and I spoke and he asked me if organizing a running event would be something I’d be interested in” said Brenda Tirrell, now 9RUNRUN’s Race Director. Tirrell had never organized a race before, but as a volunteer firefighter and an athlete who had competed in marathons and triathlons, Tirrell was used to challenges – and organizing a race sounded like it could be a fun one. “I called up five or six of my best girlfriends who also compete in races and triathlons and together we all talked about what we liked best about those events,” she said. With Chief White participating and Tirrell’s experience as a firefighter, the idea of holding the race in partnership with the region’s emergency services workers jumped out to the group. They also agreed that 9RUNRUN sounded like a great name for a race. That first year over 800 showed up on the starting line. 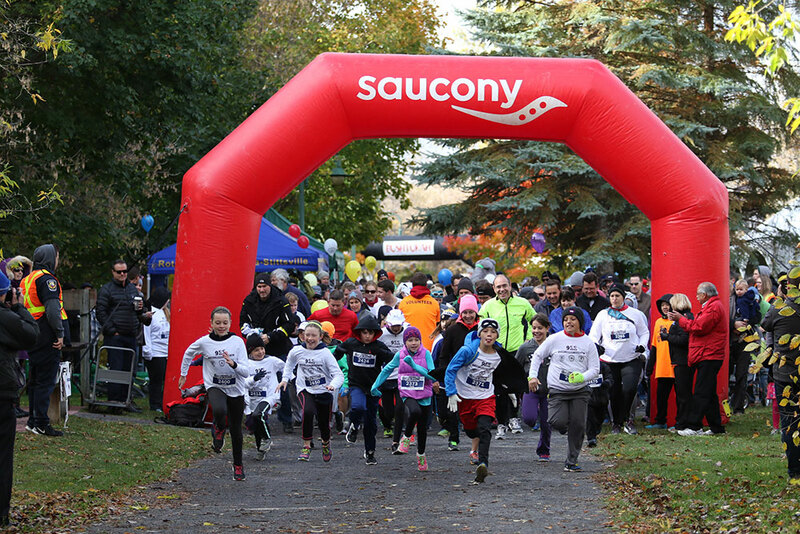 Stittsville finally had its own running event! As did the region’s police, fire and paramedics services. “People at the event were already asking about the next year, so my new job as a race director kind of just happened to me” Tirrell said. 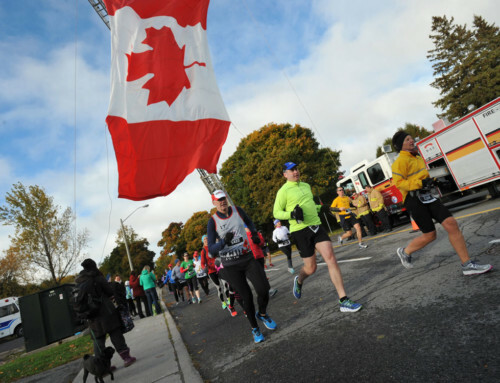 Since that first year, the race has continued to grow, both in numbers, in its visibility in Stittsville, and in its role as a partner for local emergency services and mental health awareness (we’ll have more on that story in our next blog). This year’s edition of the race takes place on October 15th, 2016. You can register now for your spot in the Half-Marathon, 10K or 2K Family Run.